Wow! What a week! The last few days have been a whirlwind. Way to end June with a bang! That’s the other thing. How could it possibly be July!? As always, my favorite month went by all too quickly, but at least July is still pretty stellar. I’ve been trying to soak all the summer freedom up, doing something a little different every day, checking out local places, even just solo trips around town. So I hope you have some fun plans this weekend and enjoy your time in the sun! I’ll be taking a little disconnecting break and you won’t see me back here until Tuesday or Wednesday. Enjoy the sun, love, food, and INDEPENDENCE! Wednesday: The Greatest Grilled Chicken…Ever! I will be doing just that this holiday weekend! Wow, there’s some perspective for you! There is a difference, but venting is what you want! Sorry standing desks 🙁 We need treadmill desks. I think so many people are blinded by the stereotype. Because insta-pics are NOT “real”. Get those kiddos in the kitchen! Watermelon is from South Africa! Bahaha! Yes! About 90% are so true! It does upset me that food and nutrition is not a bigger issue. This made me feel better about life! This is what angers me when people say “save money by shopping at the farmer’s market!” <— WRONG! Um. Should I be excited or cry that they say a bowl is $7??? Better go buy a beach house! Some great explanations for those basic photography tips! Maybe it’s the summer, but some groups are…dead. Read and take some pointers! O, I spy some newbies! I know a lot of bloggers and freelancers struggle with this. + Using Exclamation Marks Correctly! And Incorrectly! Opps…you guys know I love mine!!!!!!! #YES! I thought I was the only one making this association with the trends in the stores! I’m a fan of many! Why do I not have one!? 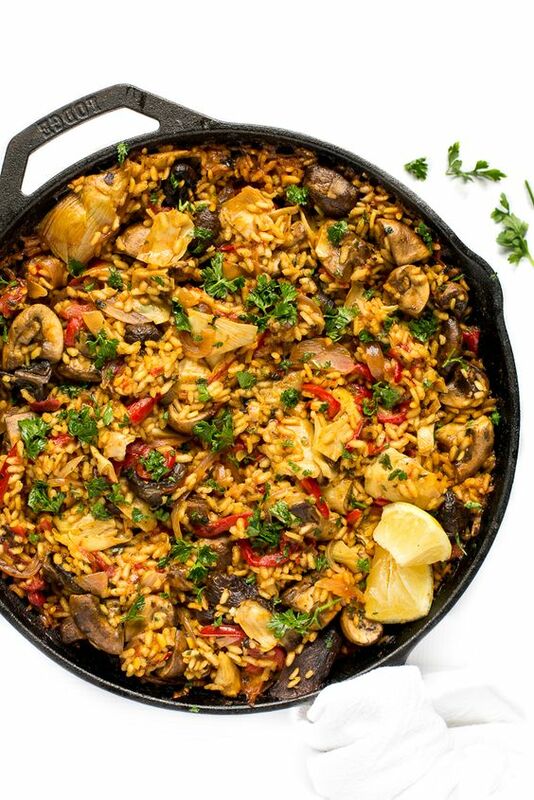 Mushroom Paella. I could eat this every day! 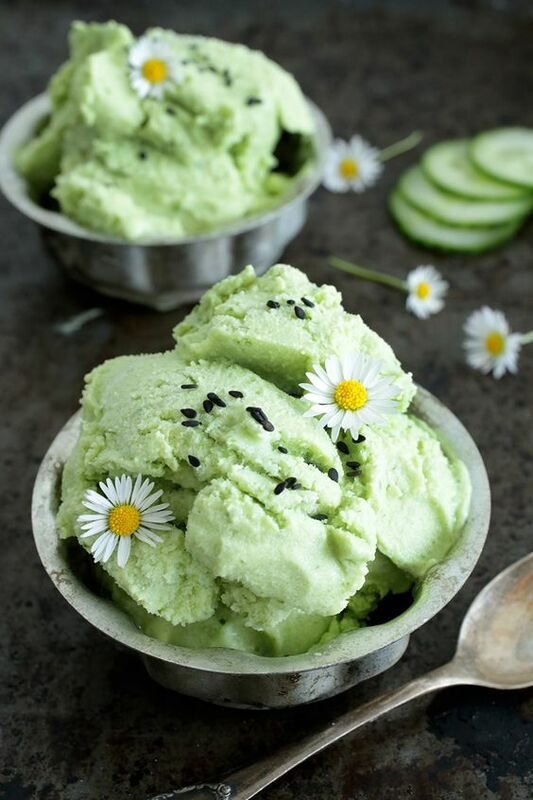 Wasabi and Cucumber Ice Cream. What-the-what!? 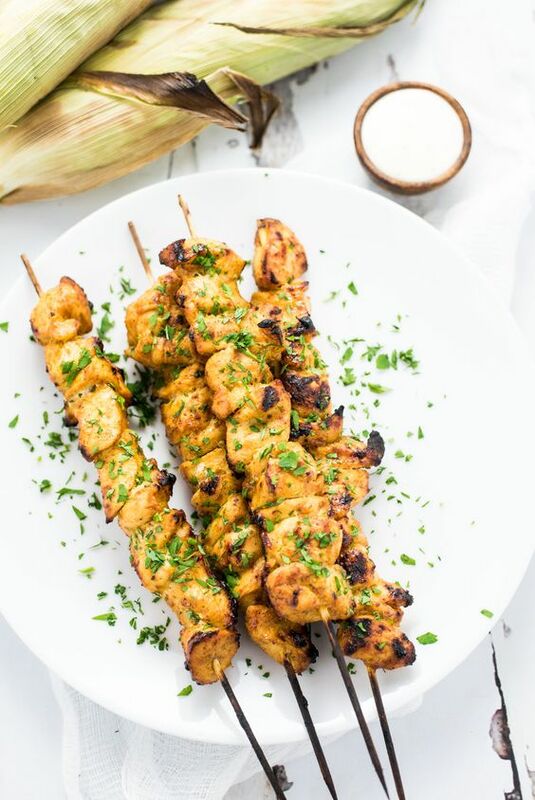 Grilled Mango Curry Chicken Skewers. This is a grilled chicken win! 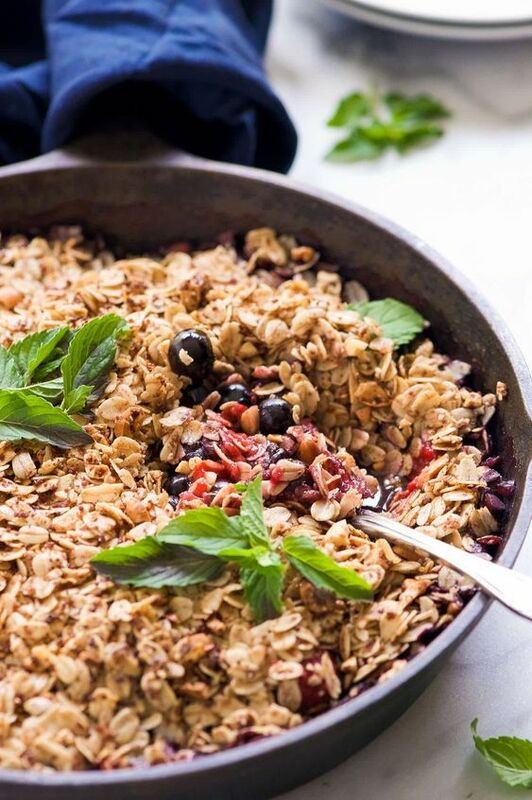 Gluten-Free Vanilla Triple Berry Crisp. I still have yet to make a crisp! 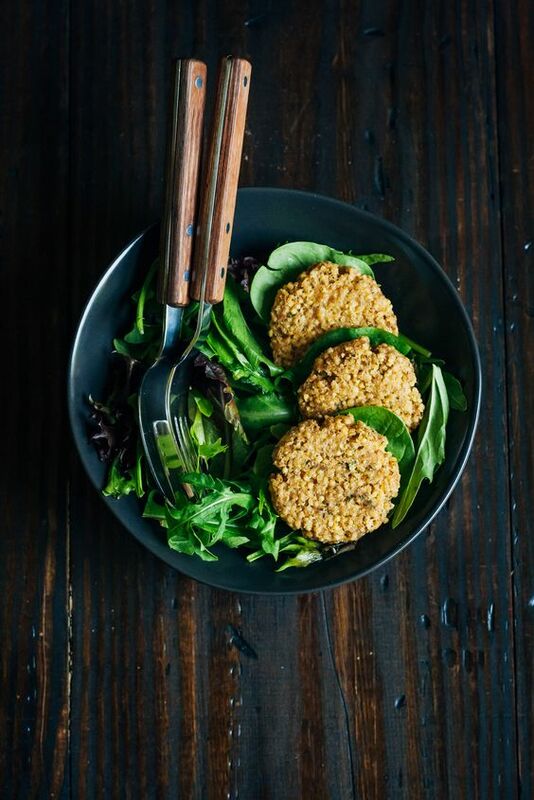 Millet Fritters. These just look so inviting! Love my millet! 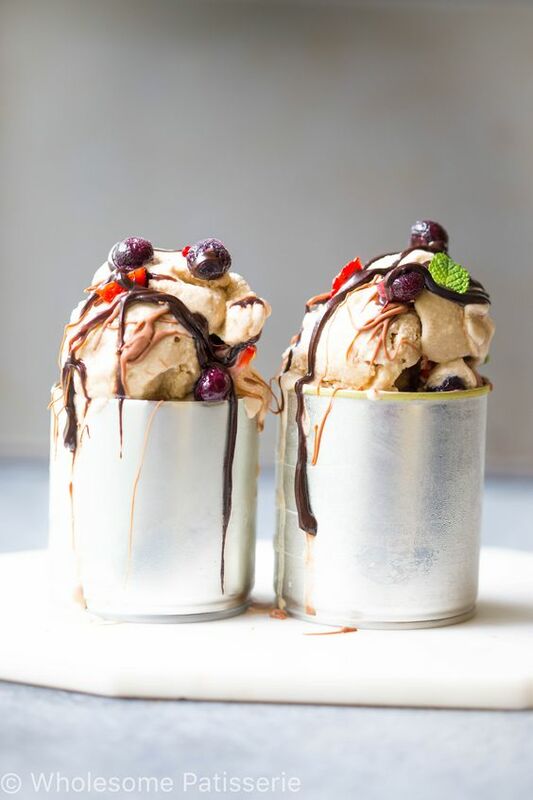 Vegan Coconut Mint Ice Cream. It’s just too drool-worthy! 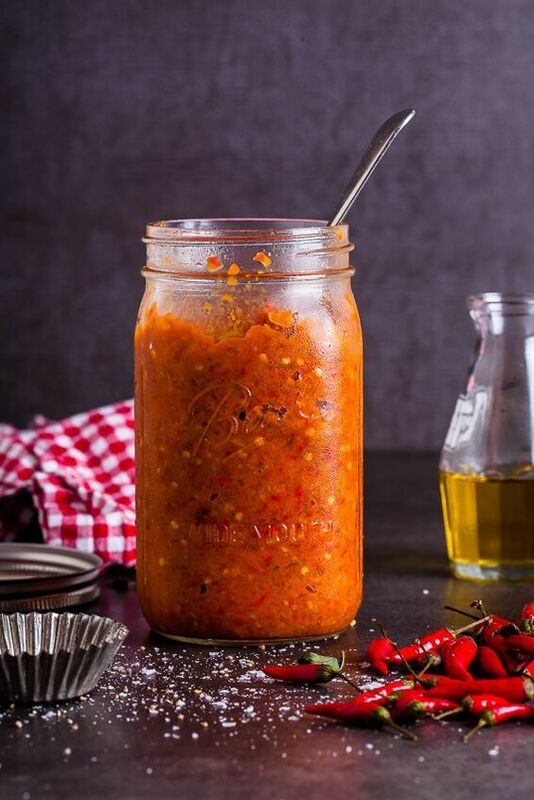 Homemade Peri Peri Sauce. I need this sauce! 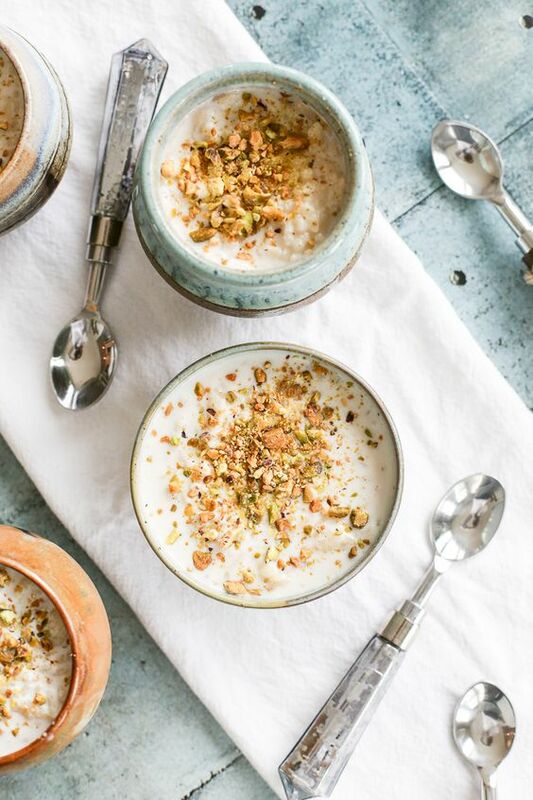 Syrian Rice Pudding with Orange Blossom Water. So simple and beautiful! + Today marks the start of the 10-day “Christmas in July” Hallmark special! You know I love my Hallmark Christmas movies! + Long relaxing weekend ahead? It just sounds so inviting right now! No worries or stress allowed! + Let me hear those 4th of July/weekend plans! « The Greatest Grilled Chicken…EVER! So much deliciousness in one post. And seriously – wasabi ice cream? Totally makes sense, right? With the cucumber it does! That kiwi trick is so cool! Never would’ve guessed! And I’ve been doing lots of lakefront walking in Chicago… and might’ve gotten a little too much sun ???? 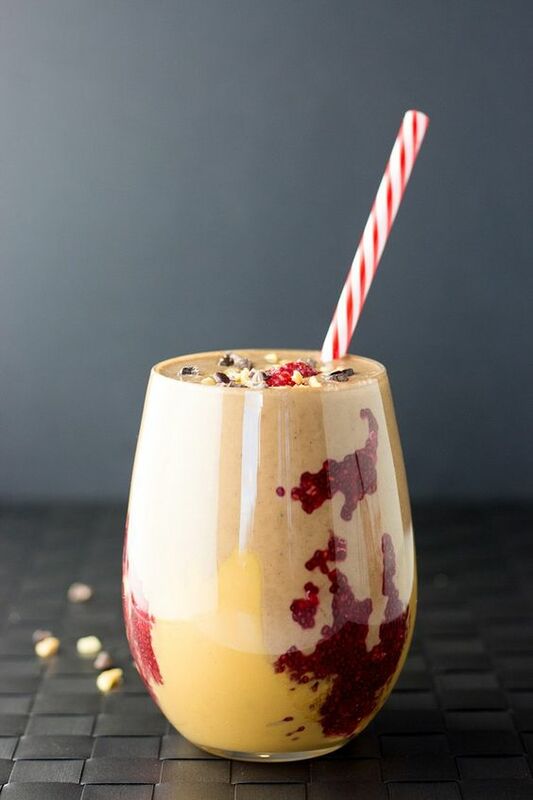 I’ve got to try it!! Good ‘ole kiwis! So much great info, Rebecca! I could eat the mushroom paella every day too. Loved the Pinterest affiliate post, map of food and laughed at the food facts! Enjoy your time off 🙂 Happy 4th! That paella looks so delicious!! You too Robyn!!! Enjoy the weekend and eat some delicious food! Great list, great photos! I hope your ” new grill” is meeting all your expectations! Hahaha, I’ve only used it once so far, need to break it in more this weekend! Yet another awesome list of must-reads! Evi is a genius! That much be one of the most creative flavors!! Cucumber (frozen cucumber is so good for making a creamy smoothie) so it must be fabulous for an ultra creamy and refreshing ice cream! Ha, that would be good! AHHHHH! Can’t believe June is already over. I had my very first day of orientation today–so much infooooo. (I’m glad they’re easing us in, haha.) Hoping to unplug for at least part of this weekend! <3 Hope you have a great one! O boy! Take it easy my friend! Soak up any and ALL downtime! I’ll be at the beach this week which I’m pretty stoked about! Have a great 4th of July! Ah, you lucky girl! Have fun! Funny you mention the Christmas in July…you reminded me that neighborhood in my town does that on July 25 and throws a mini holiday party. Random but fun! Those grilled mango chicken skewers look delicious! What!? O that is so awesome!! I would be ALL for that! Haha! Can’t wait to check out all your links this week! Hope you have an awesome 4th of July!! The in laws are coming in town. I need to consult that article to explain why my countertops are cluttered!